1. Keep an inventory of the items you store. If you are looking for something, you won’t have to wonder whether or not it is in your storage unit. 2. Put plastic or pallets on the floor of your unit to keep your items clean and to protect them in case something leaks. 3. Put all of the items you can in boxes rather than loose in the unit and use only a couple of uniform size boxes when possible. This makes for better organization and a neater space. 4. Pack heavy items into smaller boxes so they won’t be as difficult to move. 5. Label the contents of your containers. You can use different colors of labels for particular rooms or to identify the belongings of different people. 6. Place the most valuable items in the back of the unit, as well as the items you’ll be less likely to need first. 7. Place fragile items on shelving units or bookcases. 8. Leave aisles of walk spaces between rows of stacked boxes for easy access. 9. Wrap framed art and mirrors in bubble wrap and stand them on end on a pallet. 10. Wardrobe boxes protect your investment in your clothing. 11. If you stack furniture, be sure to place some type of padding between items to avoid scratches. 12. Dissemble any items you can for more efficient use of space and easier moving. Store screws and bolts in zip-lock bags and tape them to item. 13. Stand mattresses and sofas on end with pallets or plastic under them. 14. If possible, use the original boxes to store electronic equipment. 15. Purchase boxes to store glassware and china, and put packing material on the bottom and top of boxes. Wrap each item individually with paper or foam. Place these fragile boxes on top of other boxes or on a shelf. 16. Wedge open the doors of appliances to prevent mildew. You can store lighter items such as linens inside. 17. Use oil or rust protector on metal items to prevent them from rusting. 18. Never store fuel or any flammable substance. Drain fuel from lawn equipment before storing. 19. Buy tenant insurance. It is worth the small price for added peace of mind. 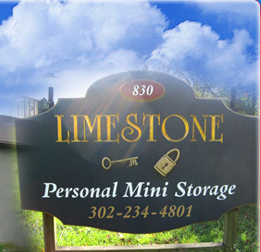 Copyright 2011 Limestone Personal Mini Storage. All rights reserved.